“Who loves the sun?” sang the Velvet Underground. “Not everyone.” I wasn’t alive when Loaded was released, but clearly Lou Reed was talking about me, with my pale skin that refuses to tan. I’m either stark white, or I’m burned. There is no in between. June by Netatmo understands. This unique wearable aimed at women detects how much UV radiation you’re exposed to each day, and reminds you to cover up or put sunscreen on—before you get a sunburn. The companion iOS app even forecasts the day’s UV index, so you can check it before you head out. It will also tell you if you should pack sunscreen, sunglasses, and a hat. June resembles a diamond-cut jewel and comes in platinum, gold, and gunmetal tones. 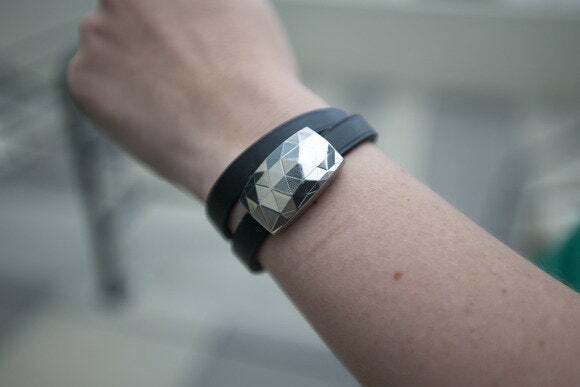 Its triangular facets catch the light and sparkle in the sun—it’s probably the prettiest sensor-packed wearable I’ve ever worn. 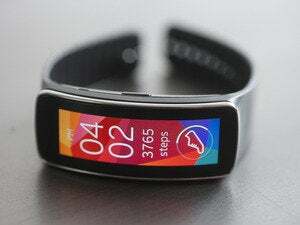 The jewel slides on to an included leather wrist strap, and you also get a rubbery silicone wrist strap to use when exercising. You could also wear June on your shirt collar like a brooch, or slide it on to your purse strap or headband. 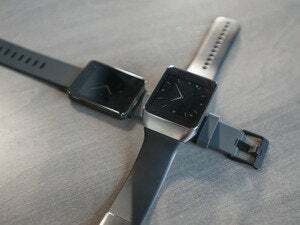 I really like how the leather strap loops around your wrist twice—it's comfortable and looks cool. I appreciate that flexibility, but I also wish it fastened much more securely to the strap, because I lost the first June review unit that Netatmo sent me. 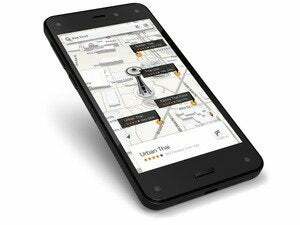 I was up in Seattle for a hectic day attending the Fire Phone announcement and an evening event with T-Mobile, and at around 9 p.m. I looked down and realized the June had slipped off the leather strap. Because the strap was still securely fastened around my wrist, I hadn’t noticed, and there was no way to retrace my steps and find the missing piece. Netatmo sent me another June, but if I had paid $99 for one and lost it, I would have been incredibly bummed. For what it’s worth, the second unit hasn’t budged, so maybe the clip on my first June was just a little loose. June charges with a proprietary gizmo that plugs into a USB port. Even though I’m highly annoyed by the proprietary charging for my Fitbit Flex (it’s never on me when my Fitbit needs charging! ), I didn’t mind for the June, which lasts seemingly forever on a single charge. Netatmo estimates the battery will last a month, and after two weeks of daily use since my last recharge, the June app says the sensor still has about half a charge left. June uses Bluetooth LE to connect to the companion app, which is currently available only for iOS. When you set up the app, you answer questions about your hair color, eye color, skin tone, how easily you tan, and how often you burn. Your data helps generate a numerical value for your skin type—I’m a 1, as in the palest person on the scale. The app’s Now tab shows the current UV index—if you’re inside it’ll be zero, but when you’re outside it updates constantly based on data from the June’s UV sensors. 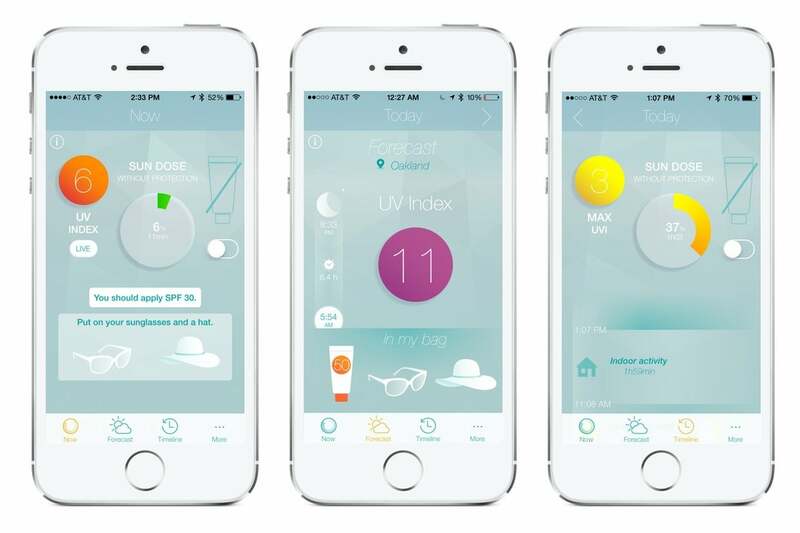 You’ll also see how much of your daily Sun Dose you’ve gotten, and there’s a switch to indicate whether you’re wearing sunscreen, as this affects how much sun you’re “allowed” to get before the app starts to warn you. This screen also gives you real-time recommendations about putting on more sunscreen, or donning a hat and sunglasses, again based on June’s sensor data. 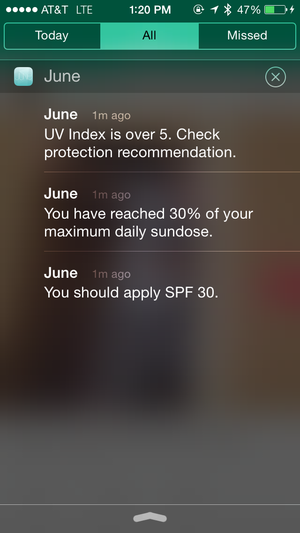 Even if you don't remember to check the June app, you'll get push notifications when you need to apply sunscreen. The Forecast tab helps you get ready for the day. It shows when the sun will rise and set, with a prediction for the day’s UV index. Here in California, I’ve seen that as low as 3 and as high as 11. But the most actionable data on this screen is the recommendation for what to pack in your bag: a hat, sunglasses, and sunscreen with SPF 30 or SPF 50. You can swipe ahead a few days, too, but unfortunately, you can’t change the city. This is a bummer because I check the forecast at my house in Oakland each morning, but Oakland tends to be sunnier than San Francisco, where I spend the bulk of each day. I’d love the option to change cities, both for that commuting problem, as well as for an upcoming vacation. The Timeline tab show when you were inside and outdoors each day, what the UV index was during those outdoor times, and how much of your Sun Dose you soaked up. I didn’t find this incredibly useful, but if you notice that you’re getting a big chunk of your Sun Dose when running in the afternoon, then, who knows, you might consider moving that run to the morning when the rays aren’t so harsh. If you enable push notifications—and you should—the app can ping you when you’ve logged a significant chunk of your Sun Dose, so you can decide if it’s time to go indoors, cover up, or apply/reapply sunblock. Even though I burn so easily, I also hate wearing sunscreen, so I love how June lets me avoid slathering it on until I really have to. Every woman I know shares my concern about sun-damaged skin, but if you aren’t the type to religiously apply sunscreen every single day, June can be a big help. Its real-time, actionable reminders can be the difference between being pale and happy, or lobster red and sad. 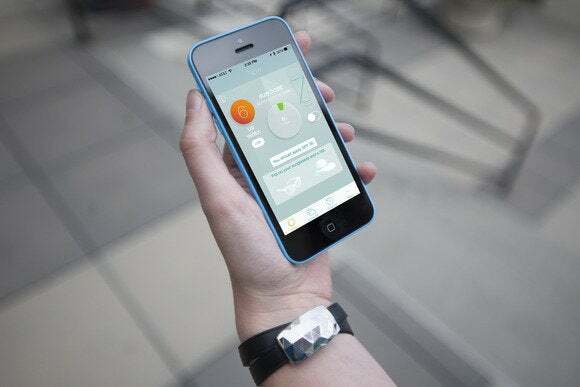 This story, "Netatmo June review: You won’t feel burned by this UV-sensing wearable" was originally published by TechHive.